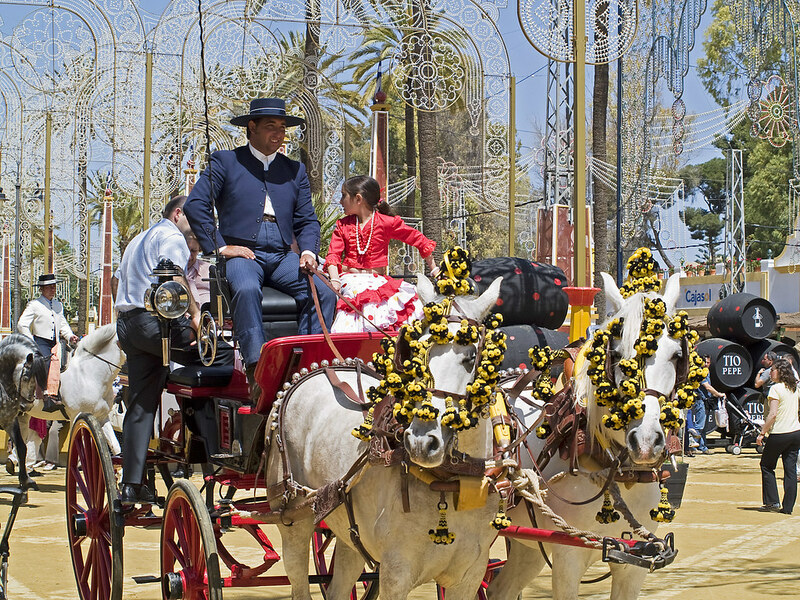 The 2019 Feria del Caballo in Jerez de la Frontera is taking place from May 11th to May 18th. 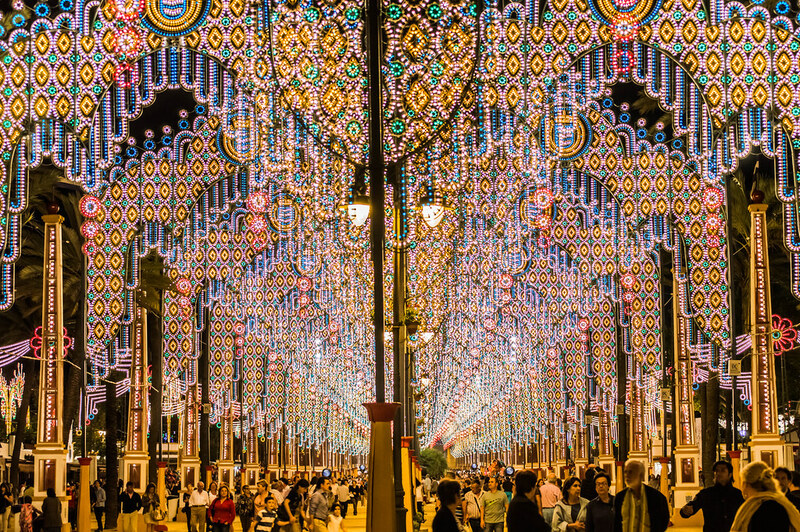 After the weekend when the annual Spanish motorcycle Grand Prix is celebrated in Jerez, the fair of Jerez, also known as Feria del Caballo, takes place in this city in Cadiz province. Joy, colours and a charming atmosphere invest the city of Jerez, to give a start to a fair that stands out from the other Andalusian fairs because it grants access to all its stalls, and for the leading role played by the Flamenco. 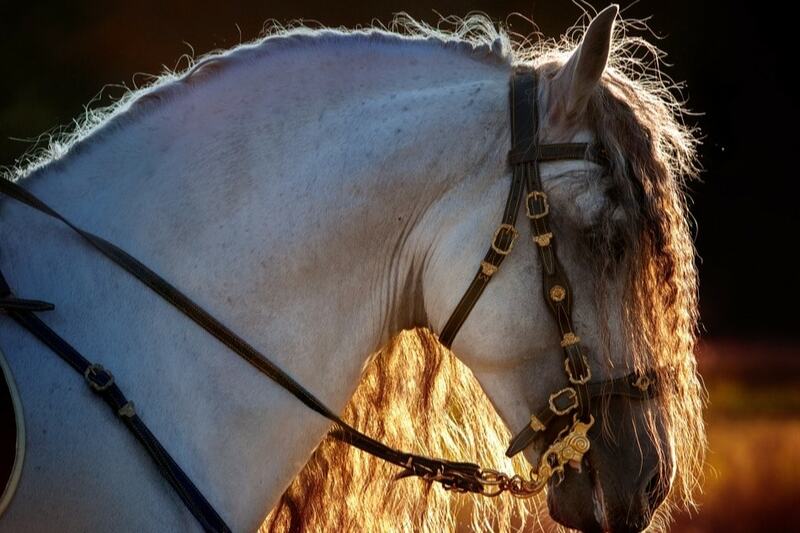 Besides, the presence of the famous Andalusian horse breed, which has made Jerez’s breeders’ name famous worldwide, is the most noteworthy feature of the Fair. It’s during this week that lots of shows and exhibitions take place in Jerez and, especially, in the fair’s area. Speaking of which, the Fair also welcomes the award ceremony of the “Premio Caballo de Oro” (the Golden Horse Prize) in the Deposito de Sementales on Friday, May 11th. This prize is offered to those that have been standing out in the equestrian field. King Alfonso X of Castile (also known as Alfonso the Wise) granted the town of Jerez the possibility to celebrate two fairs in the 13th century. Fast forward seven centuries, the major of the city, Julio González Hontoria, had a huge park built near the place where the Cattle Fair used to take place; this was due to the necessity of providing a place where the food stalls could be reunited. Nowadays, this park, which carries the name of its creator, is where the fair is celebrated. 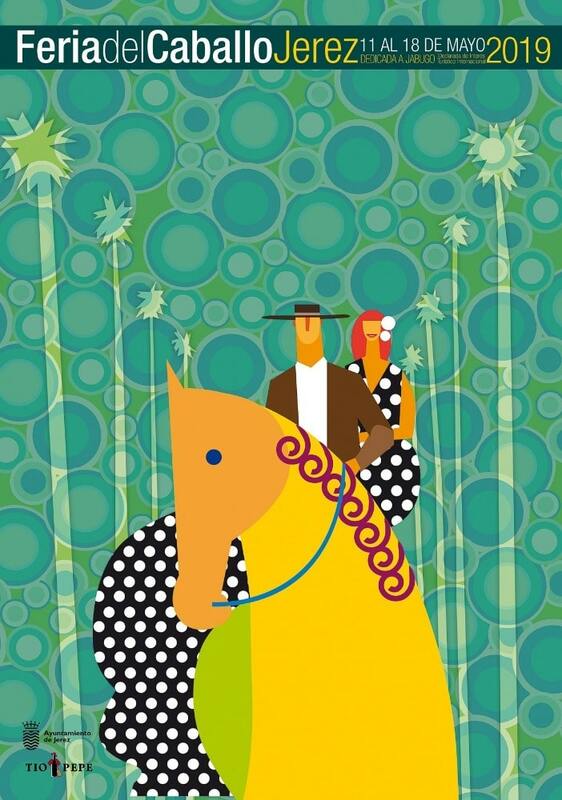 In 1966, Miguel Primo de Rivera named this event “Feria del Caballo”. The Cattle Fair disappeared in the 80s, although the food stalls were kept and later converted in the stalls that are now widespread throughout the fair. The 90s saw many improvements among which a substance to solidify the wood of the stalls, and a set of rules that regulated, among others, the use of professional kitchenware, how big each stall had to be, how the electric system had to be. This has helped convert the Feria del Caballo of Jerez in one of the best and most-attended fairs in Andalucia. If you reach Jerez by train or by bus, know that the train station and the bus station lie one near the other in the city centre. You can either choose to enjoy a 2-km walk to the fair (located north of the train station) or take a ride in the Lanzadera Esteve bus line (1 every 10 minutes). 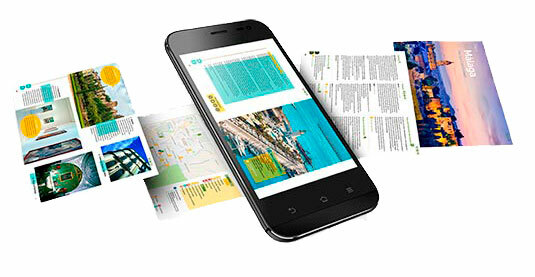 On the contrary, if you get to Jerez by car, reach the Avenida Europa towards Cadiz. At the end of it, you will find a roundabout decorated with colourful horses (right in front of the place where the studs are kept). You’d better park your car here, and reach the Fair on foot (230 mt separate you from the park where the Fair is celebrated). From Monday, May 13th to Sunday, May 18th, from 1 pm until 7.30 pm, you will have the chance to enjoy the staggering “Paseo de Jinetes y Caballos” (literally translated as Walk of the Horsemen and Horses), on whose colourful horse-carriage you can get on for a small amount. Keep in mind that the fair gets crowded starting from 2 pm: business meals, groups of women dressed in the typical flamenco robes, and all kind of groups reunite at this time to enjoy the atmosphere of the fair. As mentioned afore, you can access all the stalls for free, and all of them include a bathroom adapted for people with reduced mobility, as well as security measures. Remember to wear your best suit, as the 19th-century British influence still permeates the ambience of the Fair of Jerez. Tip: the wine is served in half a bottle. The rebujito (a mix of wine and drink) is one of the best options when it gets too hot. And while here, you can’t miss out on tasting the Iberian pork cheek, the collard greens of Jerez, and the fishes typical of the bay. This is the time of the day when the fair gets inundated by families with children dreaming of jump on the cacharritos (a term referring to the carousels typical of the fairs). As one may expect, those that have got to the fair in the morning keep dancing the Sevillanas, enjoying the Flamenco shows, and tasting the delicious meals that are served in the stalls throughout the afternoon. As soon as the lights are turned on, the atmosphere starts changing. Young people and adults take the “Real” by storm with the only intention of enjoying the rhythm of the night. The music in the stalls doesn’t stop, and it ranges from the simplest fair songs to the most modern pop songs. As you can see, the Feria del Caballo de Jerez has many facets: we suggest you enjoy all of them, as only by this way you can really get to know the culture of the fair of Jerez. As the Fair is not the only thing that you can do while in Jerez (history, Flamenco, and horses are accompanied by some of the best beaches in Cadiz province), you’ll need a holiday rental to relax as never before. By choosing one of the best holiday villas in Jerez, you’ll have the possibility to enjoy the Fair at your rhythm, as well as relax and sunbathe if you just want to disconnect from the hustle and bustle. Click the button below to see all the holiday villas in Jerez and the surrounding area. 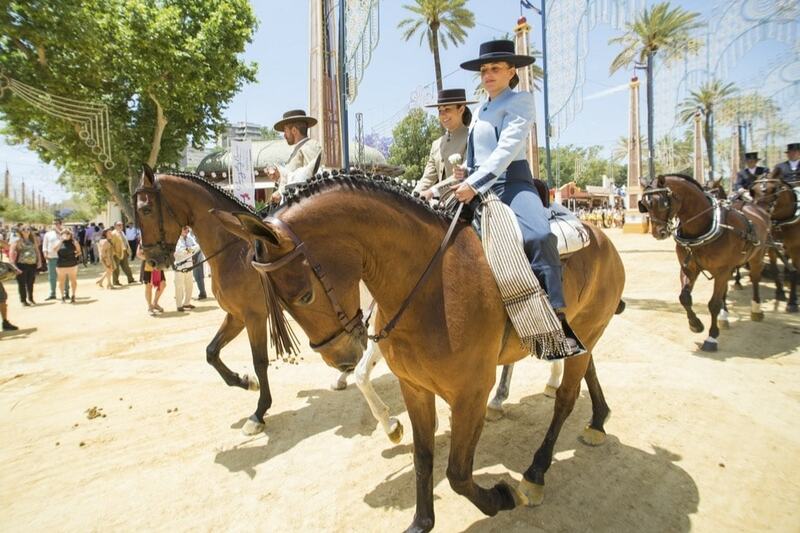 The 2019 Feria del Caballo in Jerez is taking place from May 11th to 18th. You’re the only part that misses to make this edition the most memorable ever. The city will welcome you with arms wide open so that you can enjoy its traditions and culture. What are you waiting for?